Just thought I would share this with you. 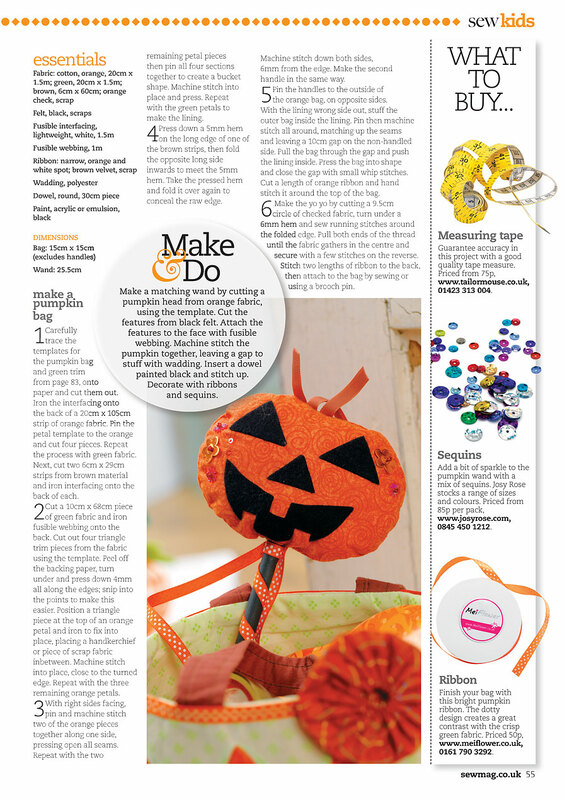 In this month’s September issue of Sew Magazine there is a tutorial on how to make a delightful pumpkin bag. They have used orange white polka dot ribbon from MeiFlower to give the bag a nice finishing touch. It’s a great use of the polka dot ribbon to decorate this wonderful Halloween project. To view a larger version just click the image below. This entry was posted on Friday, September 14th, 2012 at 6:58 pm	and is filed under Misc.. You can follow any responses to this entry through the RSS 2.0 feed. You can leave a response, or trackback from your own site.